Transmitter attachment for the LR6 Signal Tower to enable wireless data transmission. The Wireless Data Acquisition System is a cost-effective, IIoT-enabled add-on for select PATLITE Signal Towers. 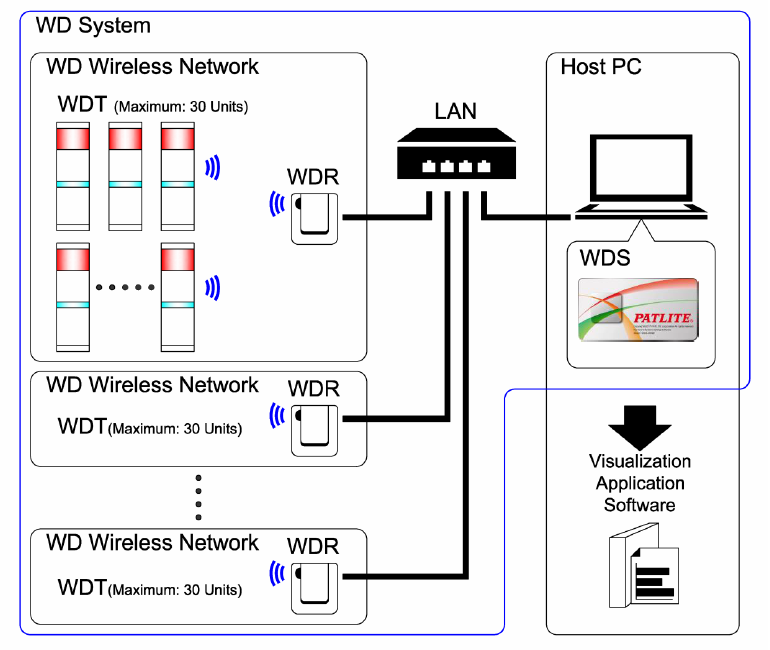 This system allows signal towers to wirelessly transmit equipment status changes to a host PC for real-time monitoring and data analysis. Identify production bottlenecks, enhance supervisory control, optimize productivity, and improve Overall Equipment Effectiveness (OEE) with this complete, networked solution.